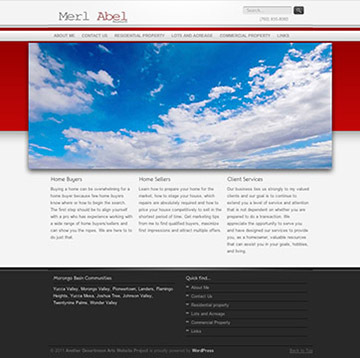 "We can develop solutions for any web presence"
1This is our new main site. 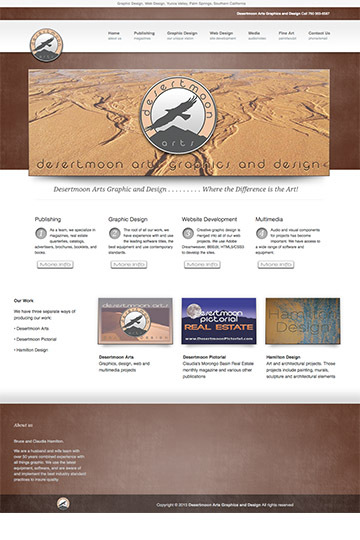 We plan to add content from Desertmoon Arts, Desertmoon Pictorial and Hamilton Design. 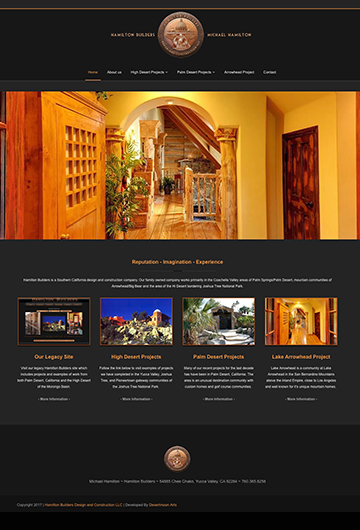 2Serves real estate professionals in the Morongo Basin. 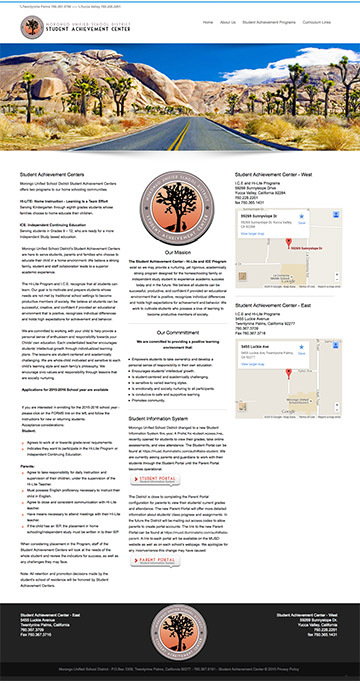 we distribute our editions locally and across the entire Coachella Valley. 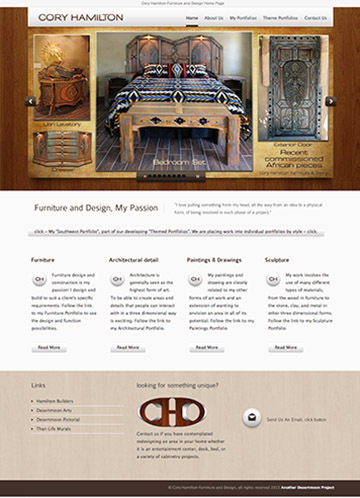 3Cory Hamilton and his many talents ~ Old site. 4Hamilton Builders combines art and construction. 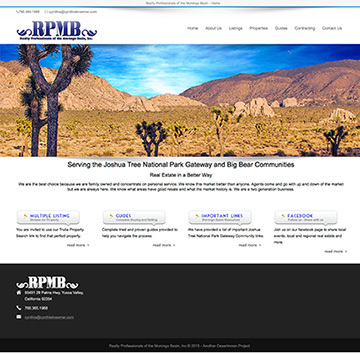 5Conservative organization serving the Joshua Tree National Park communities of the Morongo basin. 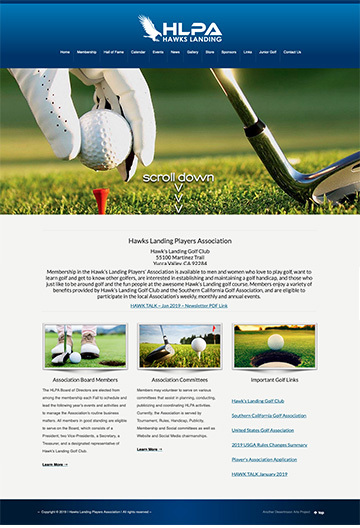 6Players' association based at Hawk's Landing, Yucca Valley, California. 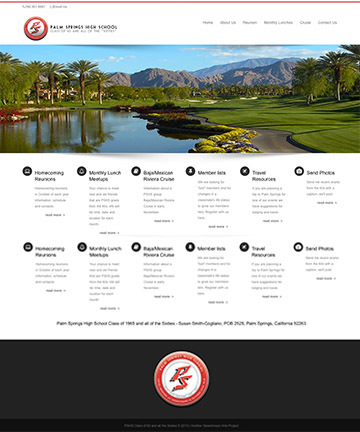 7Realty Professionals of the Morongo Basin. 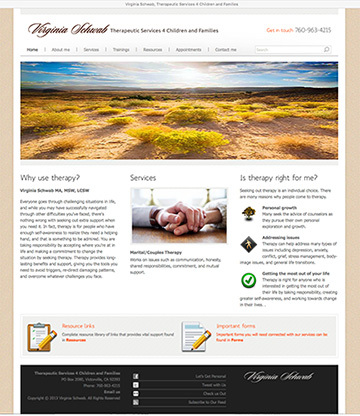 8Therapuetic Services 4 Children and families. 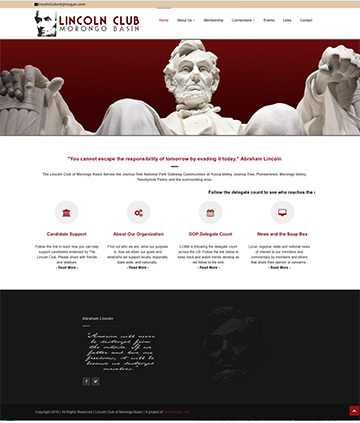 9New site under construction, visit old site above. 10Another beautiful day in Yucca Valley. 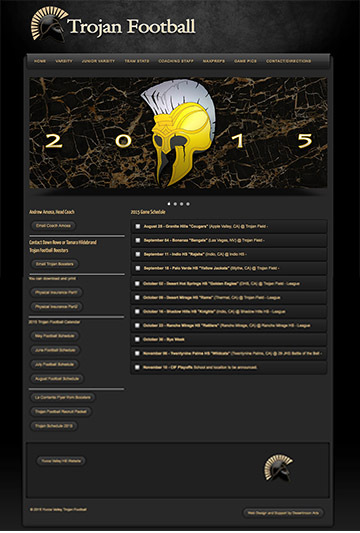 11Coach Thompson's Trojan football website. 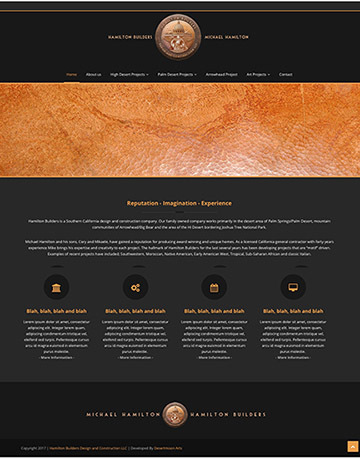 12Specializing in Hickory and Mesquite Smoked BBQ.... old site. 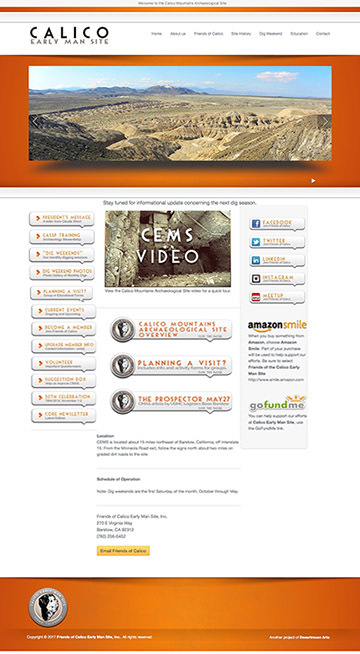 13Mojave watershed studies from late Pleistocene to Holocene. 14Incredible builder of pools and spas in the Coachella Valley. 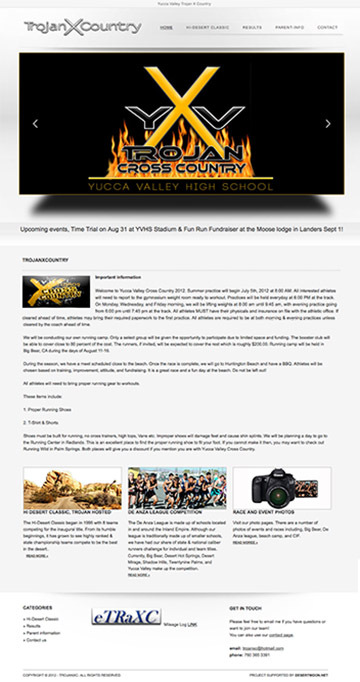 15website for Coach Jay Stepp's successful cross country team. 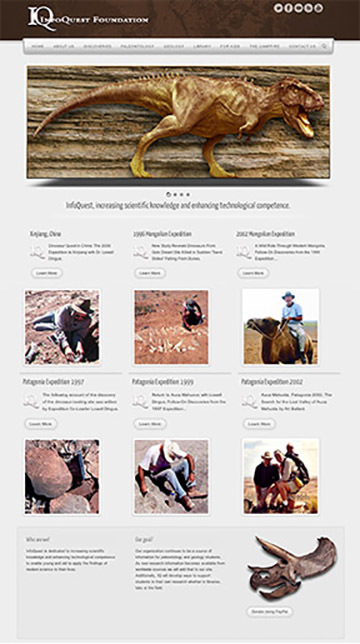 16Paleontology and geology research and support for student researchers as well as departments. 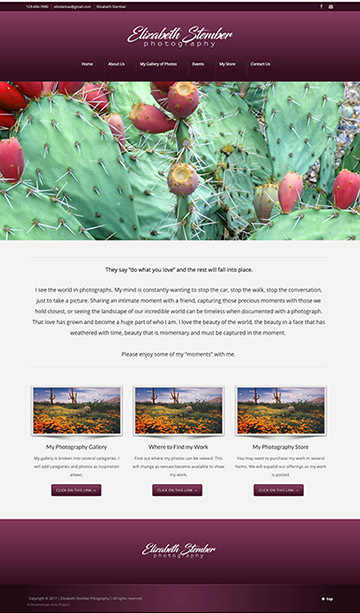 17Tucson, Sonoran and area photograhs. 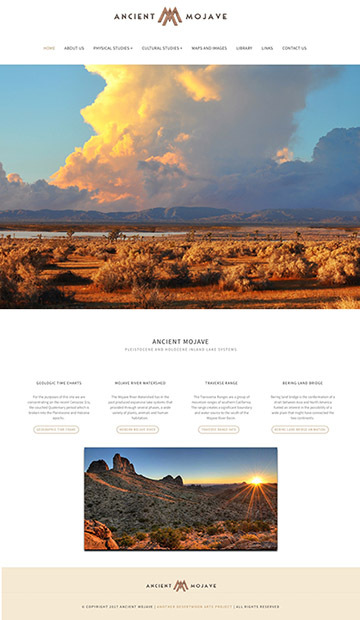 19Historic and important archaeologic site in the Barstow area next to ancient Lake Manix. 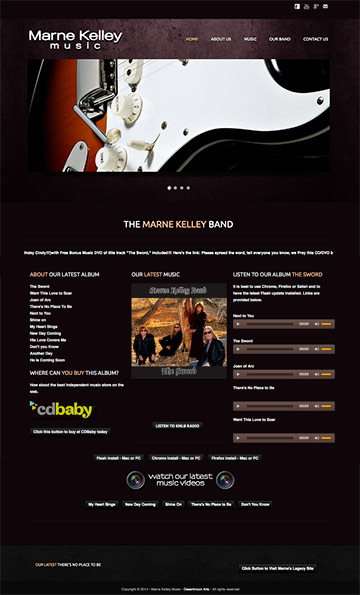 20Band's website with music, photos, videos and upcoming events. 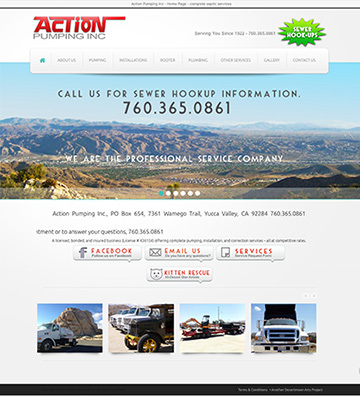 21A complete maintenace and construction sewage and plumbing company since 1922. 22Susan Smith Cogliano's 1960's reunion site. 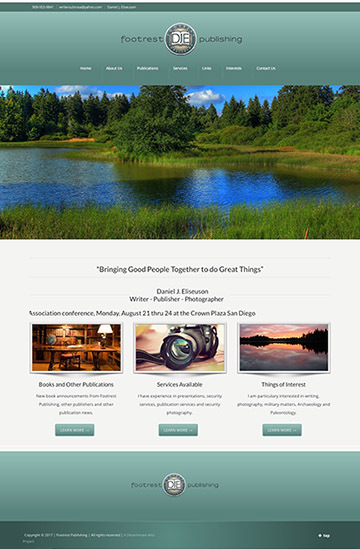 23Daniel J Eliseuson, author, photographer, adventurer and science advocate. 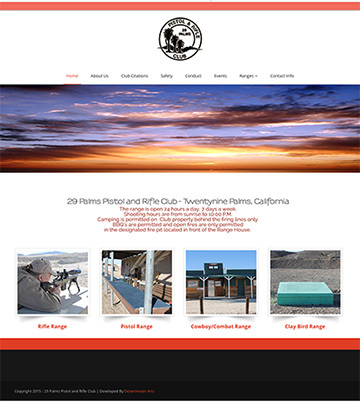 24Pistol and Rifle ranges in Twentynine Palms, California. 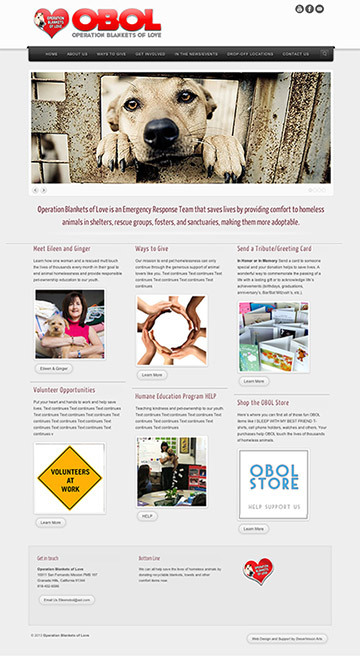 25Well known animal advocates that collect blankets and related items to support animal rescues and shelters. 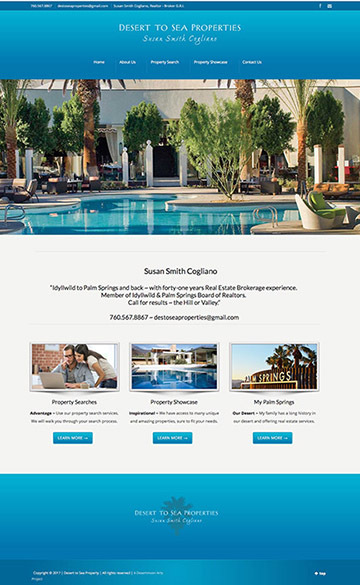 26Susan Smith Cogliano's Palm Springs Real Estate Company. 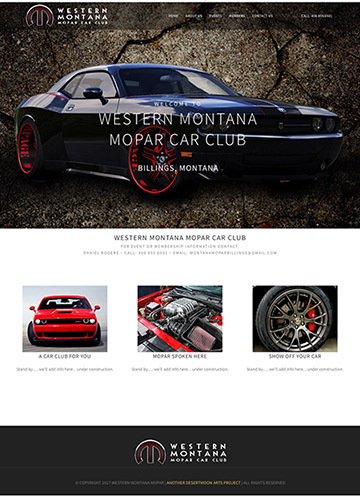 27Daniel Roger's Car Club., Billings, Montana.